I’m a big believer in meeting new people. Based on speaking with tens of thousands of people for my book Social Wealth and TEDx Talk, most people are settling in their relationships because they don’t have the options to choose other people. Why? Because their universe of options is quite limited. I think the only way to really know if the people you who you surround yourself with are the best people for you is through a combination of deep self-inquiry, analysis of the people you surround yourself with, and what your goals are and what the goals are of the people you are spending time with. But there are very few people that will do that. So instead of advising you to do that, I’ve got a quicker way. I joined an interest group attached with one of my main goals for 2018. That group is The White Rock Running Group, here in Dallas. I’ve met some incredible people in a very short period of time (less than 5 weeks). And remember, I’m running as part of the time I spend with them. You can go to meetup or google any interest you have: reading, movies, dancing, running, biking, swimming, painting, volunteering, etc. And if you have never done it, just start! I never ran over 4 miles before I started running, and ran my first half marathon in two and half weeks after my first outdoors run. So if I can do it, you can too. Most of these groups have 5 to 50 people that go. People are opening, and welcoming (for the most part). It’s very low or no cost. It only requires an hour or two of time. It’s during the middle of the week usually. And if you don’t like it, you don’t have to go back. BUT, you can meet a lot of people quickly. I’ve met probably 30 people, and I’ve gotten to know 8-10 pretty well. Who knows where these relationships will go, but I’ve just expanded my social circles and I’m doing it along with an activity I’m excited about. Google whatever interests you and see what comes up. Next, go to meetup and see if there is a group nearby. Also, you can go on Facebook and their may be a group too in your area. That’s how I found my running group on FB. Go to the event. I advise showing up on time or slightly early. Tell people you are new, and want to meet new, fantastic people. You can also contact the organizer ahead of time, and let them know you are coming. That way they will be on the lookout for you. If you don’t like the event or people, don’t go back. Find something else. It may take a few weeks to find a group you enjoy. Examples: Book Club & Denver, running groups in Los Angeles, painting in Philadelphia, etc. The easiest thing is to ask questions. The great thing is it is more important to get people to talk about themselves than you talk. So the pressure is off you already! The key is to show up consistently for a while so you can spend time with people and get to know them. Here is another option you COULD do (not required). I like to stand out, and do something people won’t expect (in a positive way). For example, in my running group, on Saturdays someone brings out water and gatorade for people on mile 7. So I’m volunteering on 1/27 to do it. That’s nothing unusual other than stepping up and doing it. AND I’m planning on making a “champagne mimosa” stop at the parking lot when the run ends. No one ever has done it, and it’s way to do something fun. It doesn’t even matter if people drink or not, they will see it, and it shows I care and took time out to do it. 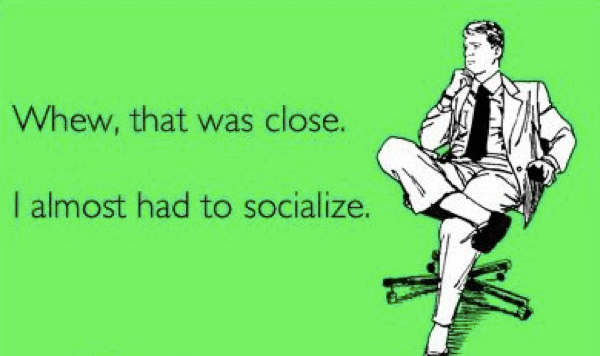 By joining an interest group, you’ll meet new people and possibly make some great new friends. You also can look at your current relationships and see where they are. By the end of 2018, you may find five people in the group you joined you have become your closest friends. Or you may just have made some new good friends. Either way, you are enriching your life! What group are you going to join this week? PS: You can download directly my TEDx team building game I created, Cards Against Mundanity. You can play it in groups of 4-12 at work or with your friends. The results are incredible. In 45 minutes, you’ll see results. One company and several groups increased revenue/production by more than 25% in a year due to it. It’s based on research on the #1 factor for high performing teams at Google. And also a research study where people built the closest relationship in their life in 45 minutes. Just my #1 the best podcast I mentioned, here is the best book I’ve read in 2017. I’ve read 24 books last year, and this by far is the best one. It’s packed with fantastic nuggets and insights to make 2018 your best year yet. You have to be ok with being alone, and to belong to yourself in that solitude. And then move through the loneliness to the other side, emerging from it to build deep meaningful connections with others. The goal-setting process to me is very frustrating, time-consuming and very few people follow through with them. Goals can be very powerful, but the process has to be simplified and minimize resistance to following through. I’ve created this rapid goal-setting document to get you commit to the goals you want, understand your “why” and provide you with the “drive” to achieve/surpass your goals. This whole goal setting process should take you 15 minutes or less. Set a timer. Force yourself to answer the questions in the allotted time. Don’t worry if you don’t get it all right. You can always go back later and add/delete/change. Also, I’ve added a couple resources at the end that will be helpful. And…take out a piece of paper, open google docs or your favorite writing tool/app. The point of goals is to help you realize a “better version of you.” It’s not about comparison, perfectionism or about what anyone else is doing. That’s a trap that will hold you back and kill your drive. Pick three professional and/or personal goals. If you pick any more than three, you will have a hard time focusing, prioritizing and achieving them. 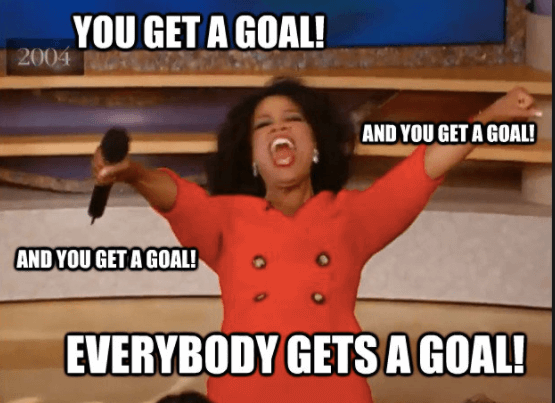 You can pick quantifiable or qualitative goals. Don’t get bogged down in metrics and or need for specificity because sometimes there isn’t. Don’t worry about the perfect goal sentence, just put something down. People get way to caught up in the HOW versus the WHY. Once you pick the goal, you will figure it out. There is plenty of knowledge, coaching and support out there. You just have to start and figure it out along the way. Start taking imperfect action without everything figured out. Stop waiting around for when you are ready or evidence or when you “feel” like it. What are you really lacking in your life? Where are you not measuring up to where you want to be? Be 110% real and honest. When you can write it down and say it, you are 75% on the way to moving past it. Motivation only lasts for a moment and it won’t stick with you. It’s fleeting. You’ve watched a movie, read a book or gone to an event, and said to yourself you were to change something. And then…nothing happened. That’s motivation. Drive will get you out of bed and it will have you doing things no matter how you feel. Drive is about your WHY. Driven people always find a way. What’s your drive here? What’s going to get you out of bed at 5am to run in the cold? What self-talk do you need to have to keep going no matter what? Start taking action today. You’ll look back and be amazed how far you have come on December 31st! Tip #1: Use your calendar to write down what actions you are going to take. It is the easiest and quickest way to make yourself accountable. Treat like a meeting you have to go to. For example, I write out my running schedule (with the help of my coach) on a monthly basis and put it my calendar. That way I know what I need to need to do. Tip #2: There is a simple “three pillar” equation to achieve mastery at anything. For each of your goals, apply the three pillars. I decided to run a half marathon in four weeks, and I’ve never run more than four miles ever. I did some simple things. First, I signed up and paid to run in the Dallas Half Marathon. Then, I texted 20 of my friends telling them I was going to run. So now, I had to do it and find a way. Second, I found an amazing running coach, and it was very inexpensive. Third, I asked twenty people what the best running group was in Dallas and joined them. I run with the running group every Wednesday night and Saturday morning. And my running group is completely free. Fourth, I emailed 20 expert runners I knew and asked them five questions about how to master running, prevent injuries, etc. I applied all that information and ran for only 16 days outside. I finished the Dallas Half Marathon in one hour and 52 minutes (that is an 8:32 pace). That’s pretty good for a first-time runner. And I’m not fast, gifted or some natural athlete. Next, I signed up for three more races, and applied and got into the Chicago Marathon in October. My goal for the Chicago Marathon is to qualify for the Boston Marathon. I’ve got a complete accountability system in place to help and support me. Plus, you may just need to google the information you need and join a group or find a partner. Regardless, don’t waste time. Do it! Tip #3: I don’t believe in top 10 lists because people get overwhelmed and don’t get to any of them. So I am only going to give you two. This is the best podcast I’ve listened to in 2017. It is with David Goggins who is a Navy Seal, Army Special Forces, and Air Force Tactical Air Controller Training. He has done the 10 hardest adventures races in the world. You’ll learn a lot from this. PLEASE NOTE: He swears quite a bit so if that is an issue, then please be advised. 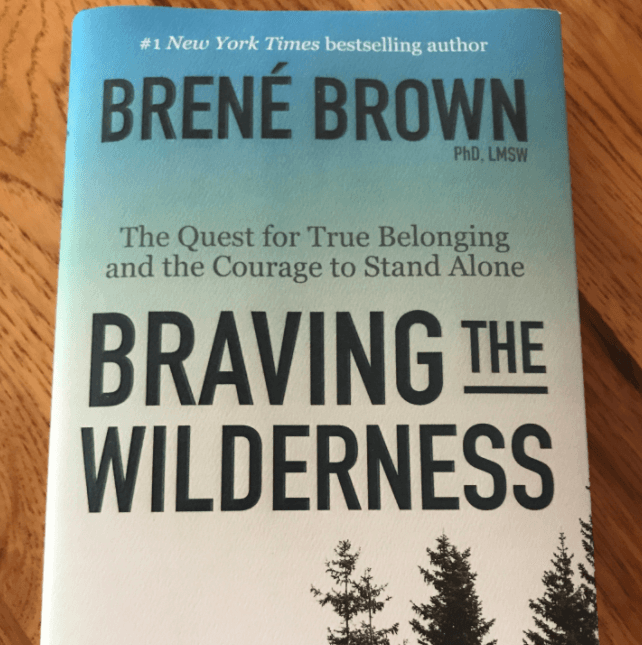 Best book in 2017 (hands down): Brene Brown, Braving the Wilderness. Fantastic book on courage, leadership, business, creating community and overcoming obstacles in your life. I love top 10 lists. But how many people actually listen to more than one or two. And when I put top 10 lists out I always receive emails that ask me, if I could only listen to one or two, which one would it be. So here it is. The ONE podcast I would listen to from 2017 out of the 150+ podcasts I listened to. It is from the only person who is a Navy Seal, Army Special Forces, and Air Force Controller School. He has run the top 10 adventure races in the world. He started off way overweight, and did it to raise money for fallen Navy Seals to send their children to college. I GUARANTEE you that you will get a TON out of this podcast. Listen, learn and put it into practice in 2018. PS: You can download directly (no email required, right to my dropbox) my TEDx team building game I created, Cards Against Mundanity. You can play it in groups of 4-12 at work or with your friends. The results are incredible. In 45 minutes, you’ll see results. One company and several groups increased revenue/production by more than 25% in a year due to it. It’s basedonf research on the #1 factor for high performing teams at Google. And also a research study where people built the closest relationship in their life in 45 minutes.